The show's opening was a blast! Talento, Gwyneth Dorado, and Junior New System recorded a pre-opening skit and came to life towards the live audience introducing El Gamma Penumbra behind the curtain. The latter introduced each country represented at the grand finals along with their acts (Philippines, Japan, Thailand, Mongolia, Singapore, and China) through a shadow play with Gao Lin & Liu Xin's proposal re-enactment at the end. Khusugtun also made their way through the stage. Gerphil Flores belted with her amazing vocal range while Dance Trilogy and Triqstar danced. The announcement of winners was done by eliminating acts down to the top 6, then 4, then 3, and the final 2. The last two acts remaining performed again. There were several performances in between the announcement as well. Charice Pempengco sang with David Foster playing the piano. All 4 judges (David, Vanness Wu Anggun, and Melanie C.) also performed. Cosentino, Australia's Got Talent 2011 2nd place also performed an illusion. Various clips of audition pieces were also selectively aired again. We saw several familiar acts which garnered yes votes during the auditions and even made it to the semi-finals. There were spoilers circulating over Facebook prior to the show about the winner. Believe it or not, even authority site Rappler was one of those sites. It definitely destroyed spectators moods. I say it was a nuisance and what they did was irresponsible. It was also pathetic and cheapskate way to gain traffic. >_< I hope Asia's Got Talent sue them! Kidding. It can't be helped for some people to leak the results though since the show was already taped prior to broadcast. We can't blame the show for doing so because they need to place translation subtitles for contestants who don't speak English. If I may suggest, they can just bring translators next time for live shows. The first 3 acts eliminated were Gwyneth Dorado, Gao Lin & Liu Xin, and Dance Trilogy. While many feared the Chinese couple, looks like they lacked sufficient following. This could be partly due to the fact that there was no text voting in China (although Hong Kong is included). AXN is also not shown in China and their Internet is very restrictive. Their performance was also affected by the guy's back injury and people didn't buy his proposal too. :) I do hope they still tie the knot even if they didn't win. Home court advantage in Singapore for Dance Trilogy on the other hand wasn't enough to make their cute performance soar. The same applies for cute dimpled Gwyneth who had a good following locally and improved a lot during her performance at the grand finals. Dancers Junior New System and Triqstar were eliminated next. Despite a good following for the young Pinoy dancers JNS, they fell short. I'd say waving the Philippine flag and chanting "Pilipino" didn't help them win votes from other countries. All Asia voted here and not just the Philippines if they forgot about that. For Triqstar, they also incorporated their culture but didn't shove it down our throats. 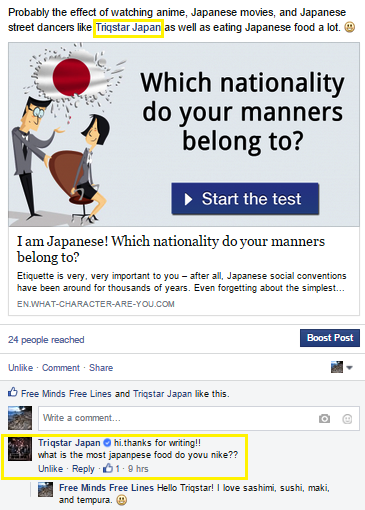 There is no text voting in Japan which limits support for them though. However, I've seen countless supporters from other countries voting for them though. :) And thanks for replying to a tagged post Triqstar! Talento, despite coming from a texting rich country, Thailand, was cut off next. Gerphil Flores was the 2nd runner up technically. David went up on stage and said something off the mic. Many believe and hope that it's about a record deal as Gerphil was smiling and crying when they hugged. Smiling and crying at the same time? :D Some people didn't vote for her because they were confident that David Foster will help career regardless of the outcome of the show. Khusugtun had a good following not only in Mongolia but throughout the far east side of Asia in countries like Kazakhstan, Kyrgyzstan, all the way throughout far east Russia. It's because the traditional music in these countries are somewhat similar; so Khusugtun appears to be representing this region of Asia. They are also not new in the industry and have been touring for several years (2011 or earlier). El Gamma Penumbra, despite not being new to entertainment, did not win Pilipinas Got Talent season 3 in 2011. Filipinos are still more fond of singers, hence, a singing trio won that season. The rest of Asia (and thank God, a number of Pinoys as well) on the other hand don't buy stories of poor or good looking singers nor what's popular or pangmasa as we call it here and voted based on talent instead. I'm sure that El Gamma Penumbra's votes were not limited to Pinoys (whose votes were already divided into 4 to begin with, plus other locals voted for Triqstar and other foreign acts too). 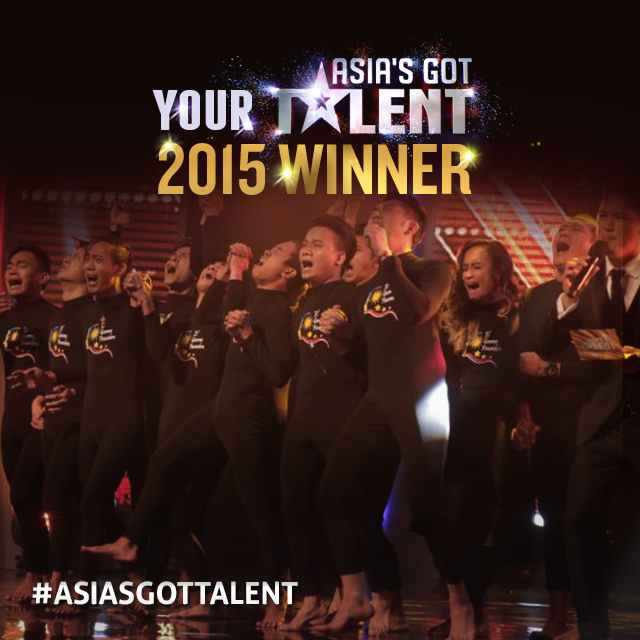 This is Asia's Got Talent and El Gamma Penumbra is no doubt a good representation of what Asia has to offer.